Why People in the World Study English? Often, when two people from two different foreign countries, with absolutely nothing in common meet, it is more than likely that either or both will try to speak in English to interact with each other. Although there are languages such as Mandarin which are spoken more commonly, English has come to be a global norm for interaction. English is the language of William Shakespeare, John Keats, and Alfred Tennyson who are geniuses in their own right. That said, how did English come to have the status it commands in the world today and why therefore, should one learn it? As the focus of the modern world shifts to a more consolidated and unified front, communication between people has emerged as a subject of immense importance. The question often asked is: how do two people with very little in common communicate their thoughts on a relatively equitable basis? Ideally, the answer to this would be one common language spoken throughout the world or a lingua franca. In other words, a global language. With the east colliding with the west, there has been a steady infusion of the two parts’ cultures. A common platform for communication was needed to be established and therefore the requirement for a global language. Historically, the status of a language in the world mainly depended on the number of native and non-native speakers. But a global language emerges from the political and economic influence of its native speakers. This is where English has scored over its counterparts. The United Nations recognises 5 official languages, English being one. Other organisations such as OPEC, ASEAN and EFTA use English only. From a little island on the northern seas of Europe, the British Empire spread its seemingly inexhaustible reach to the entire world. Unsurprisingly, this resulted in their language, English, emerging as one of the primary languages on the planet. Not only does this answer the question as to why people in the world study English but it gives one a good reason to do so. Apart from the unparalleled richness of its vocabulary, English has imbibed a cosmopolitan feel to it by strapping words from other languages (French, Japanese and even Tamil for instance!). Other languages have averted to doing this which has given English a significant boost to be unveiled as the world’s global language. With USA in the world economy’s pole position, the place for English appears even more secured and one can very safely say that it will continue to hold its position for the world’s common linguistic foundation for years to come. Although it is the second most commonly spoken language in the world, it does not diminish English’s importance in world culture. Designated as the official language for 60 out of the total 196 countries, it provides one with the means to travel and conquer the world! The European Union and the United Nations both use English as the official language for diplomacy. In short, there is no better reason as to why people in the world study English than to gain the “global citizen” outlook which has immense benefits to one’s life and career. Probably the greatest effect that fluency in English can have is on your résumé. While being multilingual is certainly quite a feat on its own, employers look at it as a positive attitude towards learning various cultures and a strong affinity to communication. But the reason to choose English over all those other languages is that most of the business in the world is conducted in English. To enter the economic world today, learning English is almost a pre-requisite. It also helps one to diverge out into fields of relations, translations and marketing. Again, a huge career boost is waiting for anyone who can master this language. Every prestigious university that occupies the world rankings today conducts their learning activities in English. Be it Harvard, MIT or Cambridge, knowing English is an absolute must-have in your skillset. Exams like the TOEFL are compulsory before admission into most universities across the world, so it is needless to say that to get that glittering degree from a top university, you would have to be fluent in reading and writing English. Most information available today has been originally produced in English. As estimated by the Institute for Scientific Information, 95% of scientific articles are produced in English in spite of more than half of them being from non-English speaking countries. For a science enthusiast, learning English is a basic requirement. However, millions of books and journals on various other topics such as literature, economics, history and fiction are being produced in English every month; far more than those in any other language. The knowledge of English increases your chances of knowing far more about everything than you know now. As if these weren’t enough reasons to answer why people in the world study English, here’s another one. An understanding of English, besides giving your cultural and career aspects a big forward push, also exposes you to the western popular culture of cinema, music and art. Now you can watch those Oscar-winning blockbusters without being ticked off by shabby subtitles at the bottom or listen to that English pop hit without having to fret over the meaning of the lyrics. In other words, it gives you a whole new set of eyes and ears to look at the world with. 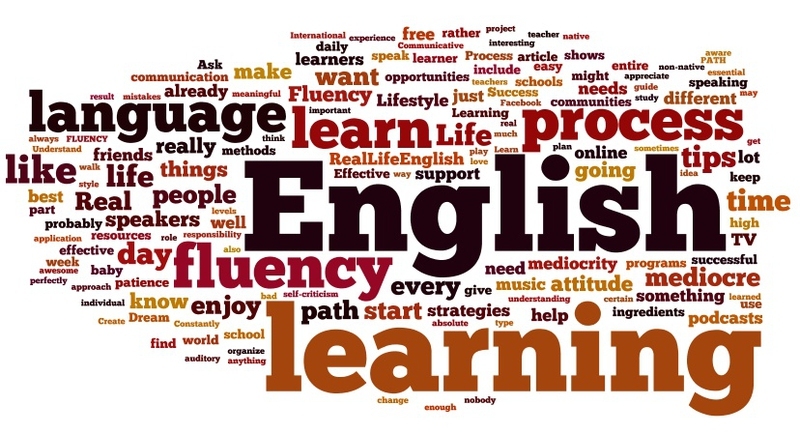 English provides you with one of the best and biggest intellectual challenges that come with learning a new language. It is most definitely one of the harder languages to learn but it has the best output to effort ratio of them all. This means that with all the effort you put to mastering English, the results that it bears is much, much greater. You wanted to know why people in the world study English. This is one of the biggest reasons why they do! You will come out of the process a much smarter and well developed individual who is ready to explore the world to its fullest.